1. The Community Center (a.k.a. 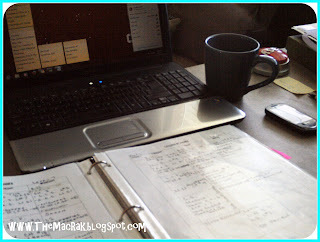 the kitchen table): We clock-in every morning and convene here for our marching orders. We begin with Bible devotion time, breakfast and then "Circle Time". I do individual instruction here at the table and students who should be working independently convene to their room. 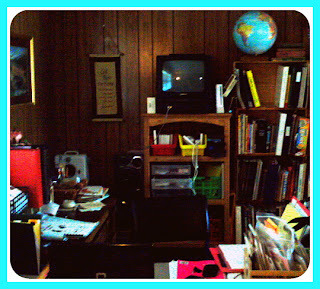 We touch base here during specific times during the day: Tea Time, Lunch Time, Dismissal Time and Mentor Time. 2. Grand Central Station: This is our workbox system. 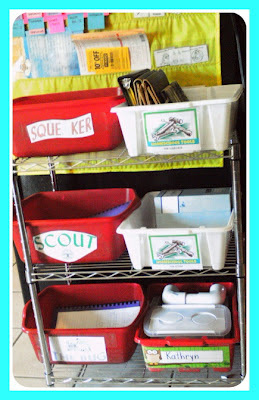 The children each have their own shelf which includes a Homeschool "Tool Box" and their Work Bucket. 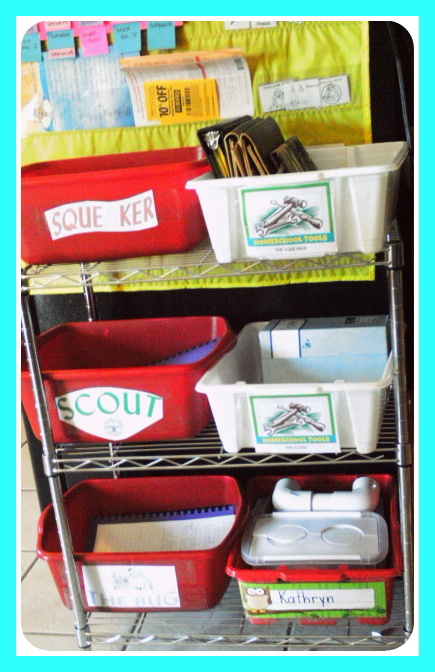 The Tool Box includes items that they need for completing academic assignments: Nook (or other eReader), All About Spelling Box, Flashcards, Assignment Folder and the Whisper Phone. The Work Bucket simply holds the curriculum and books they will need to complete that day's assignments. 4. 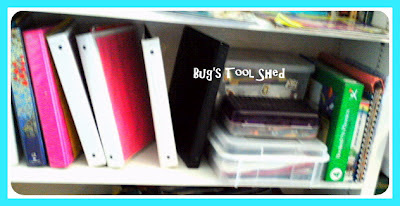 The Tool Shed: Each student has their own shelf where they store their additional supplies and resources that they may need throughout the course of the day. All of their individual notebooks used in notebooking are located here. 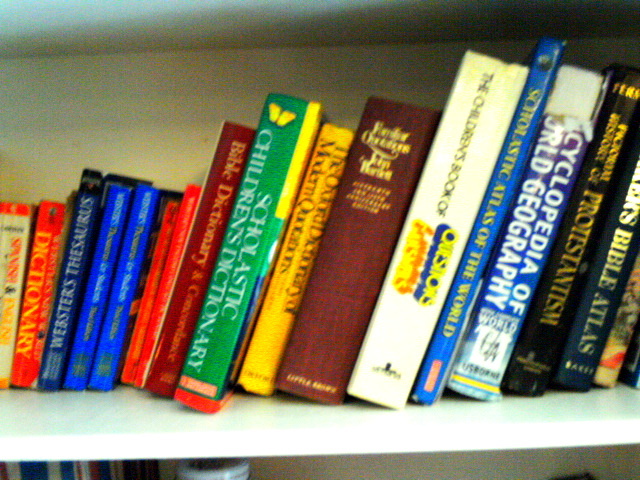 We also keep a separate shelf of resources books, dictionaries, thesauruses and almanacs. 5. The Cave of Wonders: This is the home educators den of hope. I keep all of the lesson planning, cutting, pasting, grading and blogging going from this location, but only during the appointed times of the day. We are continually learning, sharing and growing here in our "hallowed halls" of homeschooling. Growing in wisdom, stature and favor with God, first, and then with men. 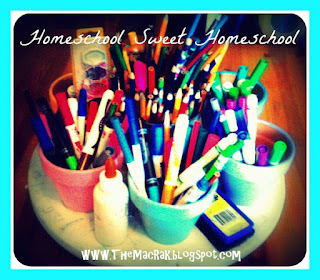 I am ever grateful and thankful for the right to educate my children at home and love sharing our experiences with you. 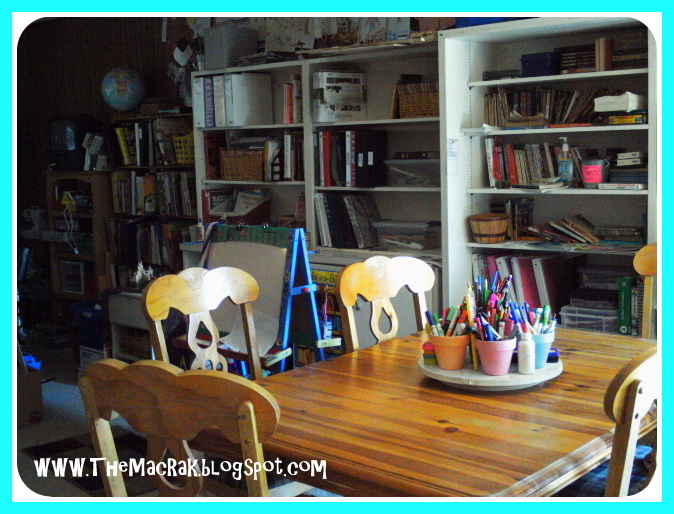 So, what makes your homeschool area tick? How do you keep this area running well?